CALPI's mission is to offer legal and technical counsel to the indigenous peoples and ethnic communities of the Autonomous Regions of the Atlantic Coast of Nicaragua in all matters so that they can exercise their rights, rights primarly related to land tenure and access to their natural resources. Rights related to the exercise of of their communal organization, to the free election of their traditional authorities, the use of their language and the respect of their customs and development of their own culture. The Political Constitution and the Statute of Authonomy of the Atlantic Coast of Nicaraguaand, created the legal frame of the rights of this indigenous peoples. The legal demands for their observation, divulgence, and broadcasting of these rights are esdcential. The divulgence of the rights to their language, culture, communal lands, natural resources, and customs, should reach the indigenous peoples, public officials, and the rest of society, so that they can be effectively applied; so that training programs to the indigenous leaders, government officials, regional authorities, judges, lawyers, students, and civil society, is given by CALPI to achieve this end. Radio programs and the printing of informational material about these rights are created and distributed to different social actors and institutions in the region. And the signed agreements of cooperation with the local universities URACCAN and BICU is being implemented in order to educate law students and professors about the rights of indigenous peoples. ABOUT CALPI The Center for Legal Assistance for Indigenous People (CALPI) is a non-governmental organization with legal capacity given by the Nicaraguan National Assembly in Decree No. 1316 on May 27, 1996, and published in the Official Daily Gazette No. 135 on June 18, 1996. 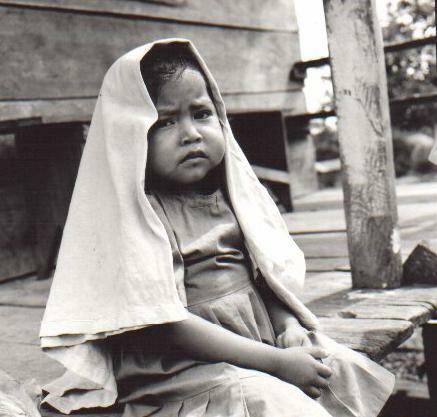 CALPI promotes the divulgence and effective application of the rights of indigenous peoples and ethnic communities in the Autonomous Regions of the Atlantic Coast of Nicaragua, primarily through legal counsel to leaders and indigenous communities in defending their traditional communal lands, in agreement with the rights established in the Political Constitution of Nicaragua. 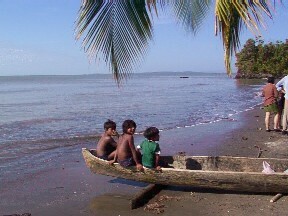 Indigenous children from Punta de Aguila in the Rama Territory. and designed by Álvaro Vergara of CALPI.